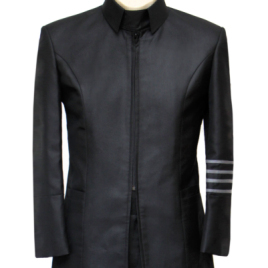 This futuristic officers uniform features a hidden-zipper tunic with folded-down collar (including extended modesty panel), princess seamed back and rank stripes on one arm. The matching breeches have flared thighs which taper slightly and wrap around the knee before being tucked into tall riding boots, held in place by elasticated stirrups. Pants include top-entry pockets which are not visible when worn with the jacket. 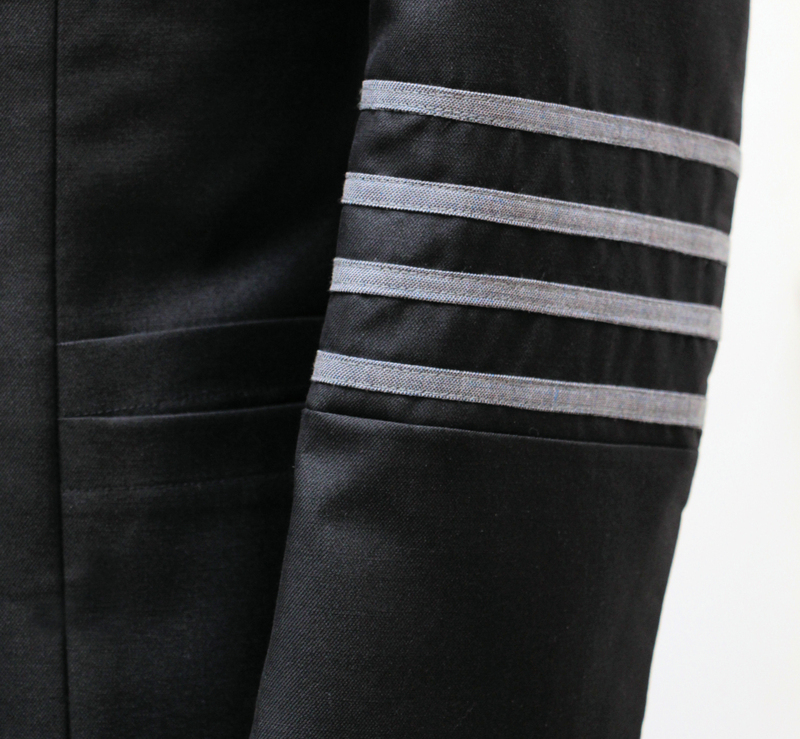 Unlike other manufacturers, these uniforms are completely made-to-measure, to guarantee the best fit possible. Simply fill out the garment measurement form located in your account before placing your order. Shown in a black wool blend with subtle sheen. 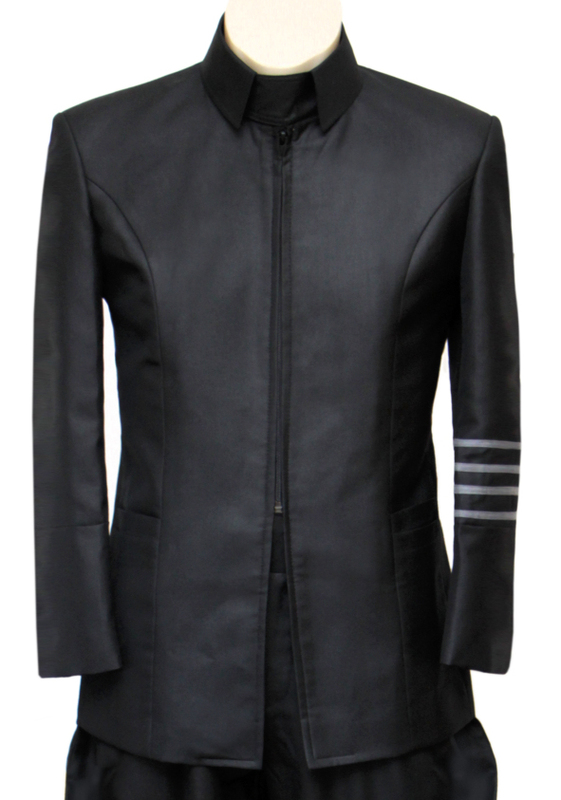 Jacket is fully lined with interior pockets. Extra yard (or two) of fabric can be purchased to make a matching cap. (NB: Shown with Falcon Boots which can be purchased separately).